https://secure.hostcontrol.com.au (If you are unsure of your login details, select the 'Forgotten Password' button). Once in hostControl, browse to the "Email Accounts" section, find the email account you wish to setup and select the 'Connect Info' link to the right. 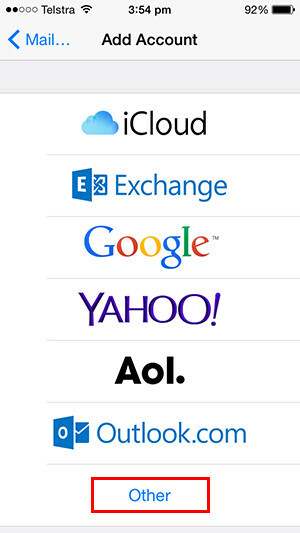 This will show your email's username, password, incoming mail server, outgoing mail server and port number. Keep this information handy and proceed to Step 1. 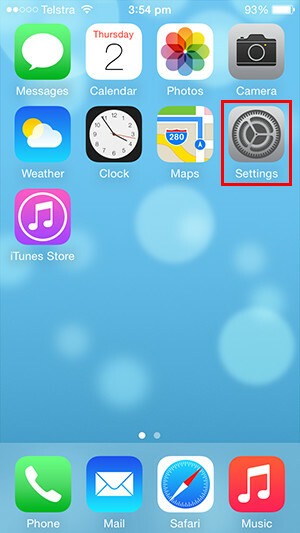 On your iPhone, select the "Settings" app. Scroll down and select "Accounts & Passwords"
From the Add Account list, choose the very bottom choice "Other". Enter in your Name, Email and Password as shown below. Once done, select 'Next'. Description: This is for your reference only to help you identify the email account. You can enter in your email address here for example. 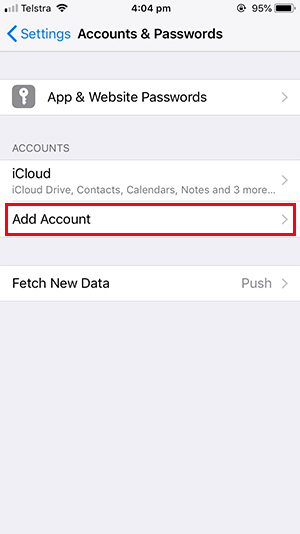 Fill in the your mail server settings as per below. Once finished, click 'Next'. 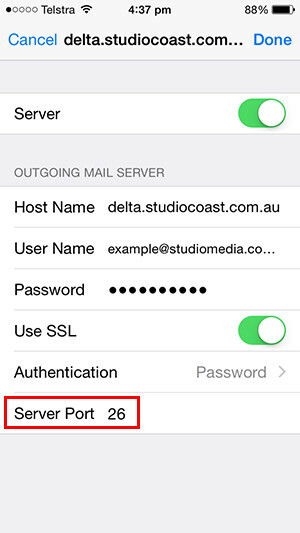 IMAP/POP3: Select POP3 or IMAP. If you are unsure which to choose, see the following Knowledge Base article link on Should I choose POP3 or IMAP?. 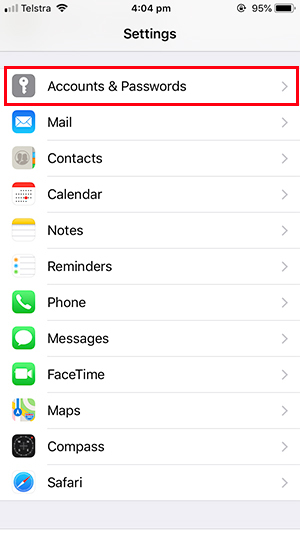 For iPhones, IMAP is recommended. 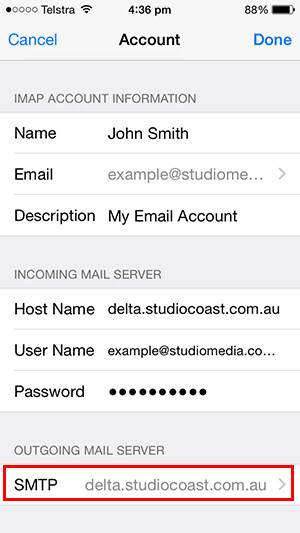 Incoming / Outgoing - Host Name: Your email account's incoming mail server. To find this, please refer to your Account Information by logging into hostControl. 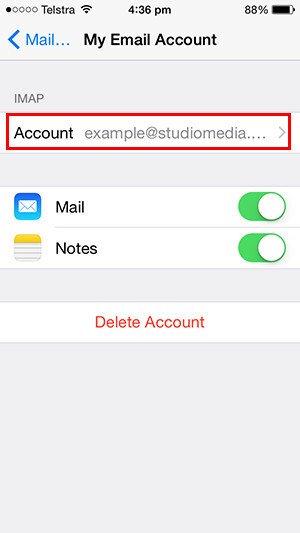 Incoming / Outgoing - User Name Your username will be the same as your full email address. Eg. yourname@domainname.com.au. 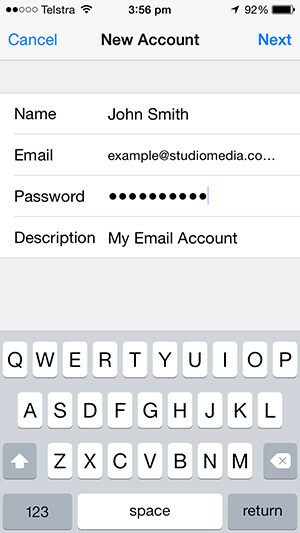 Incoming / Outgoing - Password Your Email Account's Password. If you are unsure, visit the "Email Accounts" section of hostControl and click 'Display Passwords'. Outgoing will be the same. 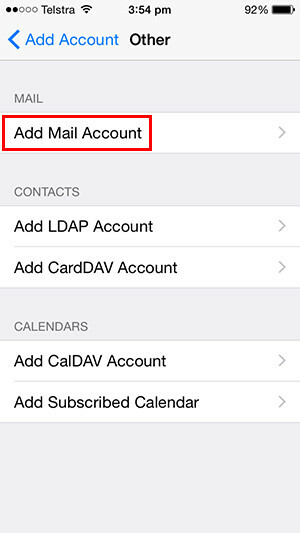 Both your Incoming Mail Server and Outgoing Mail Server settings must be the same. iPhones can sometimes take a couple of minutes to verify. If successful, you will be brought to the following page. Click 'Save'. 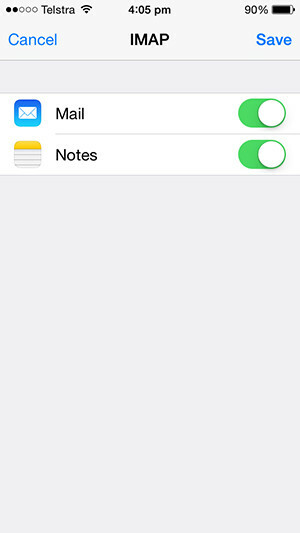 You will then be brought to the Mail app showing your emails. We now have one final setting to change. 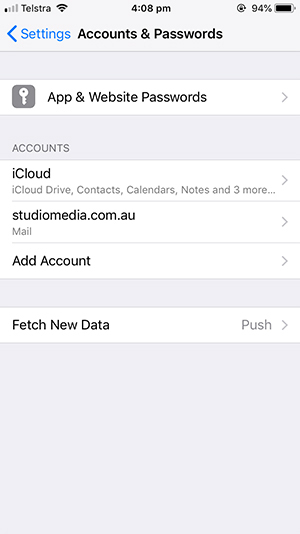 So go back to the Settings app again and select Accounts & Password. Then choose your email account you have just created from the list. Select your email acccount again. Down the very bottom select "SMTP" which will be set to your outgoing mail server. 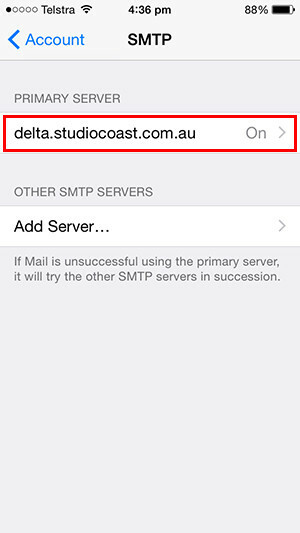 Select the server name from the SMTP list. Down the very bottom, change the Server Port to 26. Click 'Done' to save. Your new email account has now been setup and ready to use!